Songs about Howe Sound/Atl’kitsem, songs about wilderness and just songs that I have written, many composed as I was paddling in my kayak along the shores of the Sound. I wrote HOW SHALL I WALK when I was researching and writing Becoming Intimate with the Earth, which was published in 2013. It was heartbreaking to learn about the devastation of our beautiful planet. This song helped me to feel my sorrow and to rescue my joy. Jay Knutson on guitar. He also produced the album, Rescue Joy. 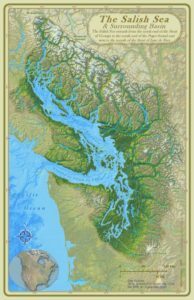 I wrote THE SALISH SEA soon after I moved to Bowen Island and my friend Sue Ellen Fast, a naturalist, told me that Howe Sound, Georgia Strait, Juan de Fuca Strait and Puget Sound were part of an inland sea, which drains into the Pacific Ocean. They were going to give it a name. 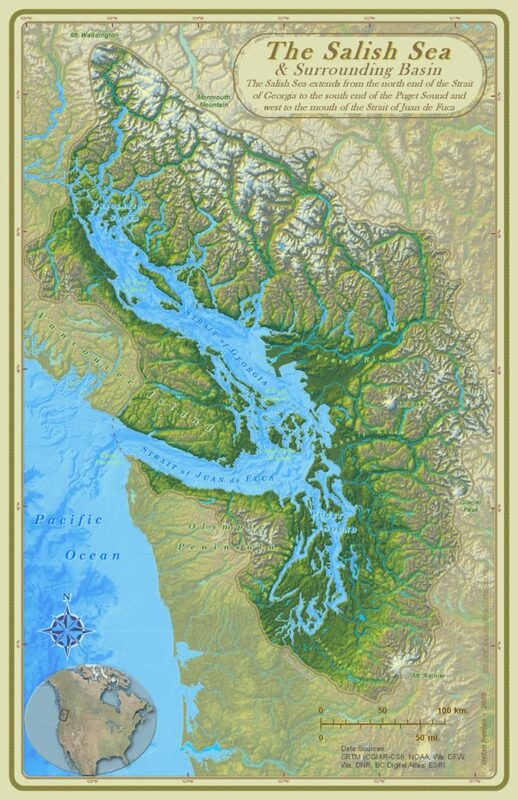 Since this was the territory of the Coast Salish people, in BC and in Washington state, they decided to call it The Salish Sea. All the prompting I needed to write a song. Mike Ducayen on flute and Corbin Keep on cello. LONG LIVE THE WILDERNESS was written for my musical Voices in the Sound in 2005. The lyrics are by Gerard Manley Hopkins, one of the great poets of the Victorian era. The frog “chorus” was recorded by Peter Gerencher on Bowen Island. 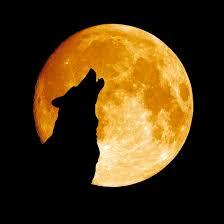 The wolf “chorus” was improvised by me. That’s Corbin Keep on the cello.